ASC shipyard in South Australia. A former Royal Australian Navy submariner has been approved by the South Australian Parliament to replace Nick Xenophon in the federal Senate. 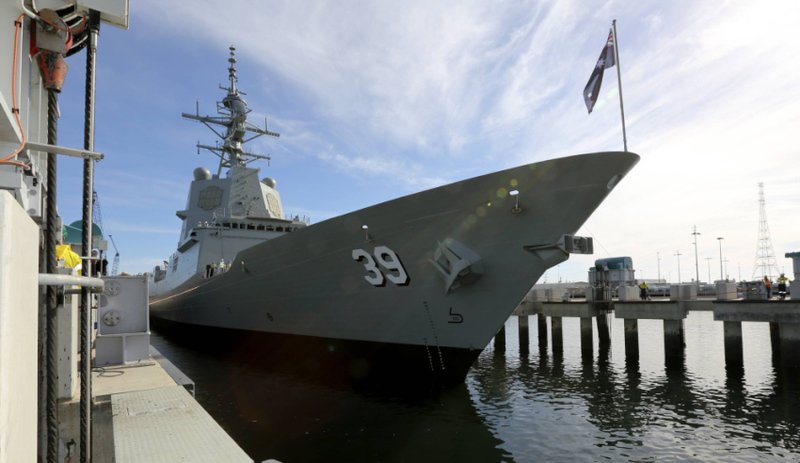 Rex Patrick, Xenophon's former political adviser, said he plans to focus on areas important to South Australia, with a strong focus on defence and the maritime projects that will take place in SA. "I will continue to put pressure on the government to make sure that we maximise Australian industry content in the submarine project and, indeed, the future frigate project," Patrick said. "I would hope that I can be a watchdog in terms of making sure that project is run effectively and efficiently as well." Patrick said his experience, both in the Navy and as a former business owner, will aid him well in his new role as a politician. “I come at this now after 10 years in the Navy; I spent time in international business and then I ran my own company,” he said. South Australian Premier Jay Weatherill said Patrick's appointment to the Senate will see SA gain another strong advocate for the state's defence sector. "Mr Patrick joins the Senate at a time of some turbulence and uncertainty in federal politics and at a time when the Commonwealth government is considering making important decisions in relation to our future shipbuilding and submarine building industry," the Premier said. Patrick will be sworn into the Senate on Wednesday.